Can you believe that we are already approaching 2016? I sure can’t! In honor of the new year QUICKLY approaching, I thought, what better way to celebrate then with a glass (or three bottles) of champagne? Some people get really fancy with their champagne. I have had a really nice glass or two of champagne in my day:) But for the most part, there seem to be plenty of good options out there in terms of bottles of champagne that you don’t have to spend hundreds, maybe even thousands, of dollars on. If you’re trying to plan a party and plan on buying a lot of bottles of the bubbly, this list may come in especially handy! Click here to see what else you can drink for the holidays. You can find a bottle of this for around $12 or less. It is a dry champagne with flavors of green apple and a variety of other fruits. There is a hint of citrus and a nice crisp finish. This is a champagne that won’t really disappoint. I have never had an unpleasant experience with Michelle champagne. These two are probably my favorite bottles on this list, both of which you can find for under $14. The Extra-Dry is going to be dry but with a hint of sweetness. It is filled with fruit flavors a a touch of spice to finish it off. This is great on its own and combined with other mixers to make a sparkling cocktail. 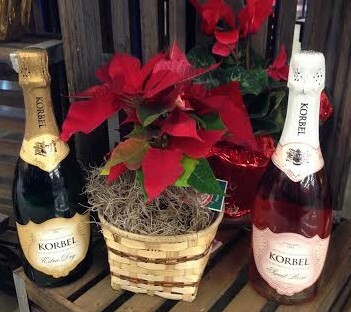 The Rosé is for those that want a little bit of fancy with their champagne. I feel like blush colored champagne just calls for strawberries! With flavors of red apple, strawberry and some melon, this is the perfect balance of sweet and sparkly. You can find this for around $14 a bottle. It tastes like spicy apple cider, with notes of nutmeg and cinnamon. It isn’t you’re typical overly fruit-filled flavor of bubbly but it is quite enjoyable! This sparkling wine can be found for around the $10 or less! It doesn’t contain too much in the carbonation department, but it does have a nice fruity flavor of strawberries and maybe some peach as well. It is really easy to drink… which could be good and bad for a holiday party! This is the cheapest one on the list with a price of $9.99 or below when on sale. This champagne is extremely carbonated so if you’re looking for one to pop open and spray all over, this is your winner! It has a unique flavor of sweet almonds. It almost reminds me of a combination similar to the Jordan Almond candies, which I happen to love. This one is a great choice for any crowd and also easy on the budget if you’re buying in bulk. Side note: Costco sells TWO PACKS of huge bottles of Cooks and Korbel… Just letting you guys in on the best find from Costco lately! 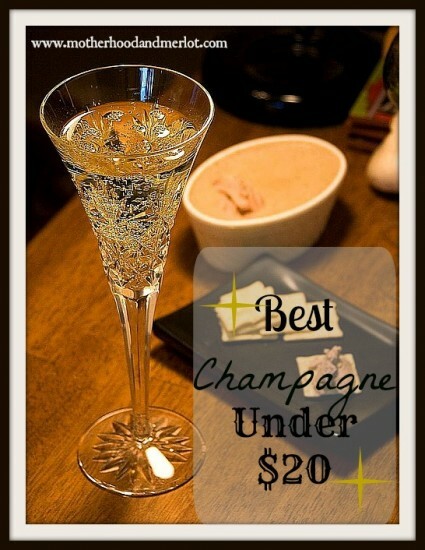 What is your favorite type of champagne, cheap or fancy? Great suggestions! I love a little bubbly for NYE! I have a bottle of Korbel in my fridge right now. Cheers! Oh you are speaking my language lady! I love Corbel! I’ll have to try the other picks too! This is perfectly timed! Thanks so much!! Sharing for tomorrow on fb! I hadn’t heard of many of these…pinning to my wine board! I love a good Prosecco. Curious to know what your favorite is there! Happy New Year!